A descendent of German and Czech peasants, Scandinavian adventurers and Irish dreamers, Christopher was born in Everett, Washington. His father was a commercial fisherman and his mother a housewife. 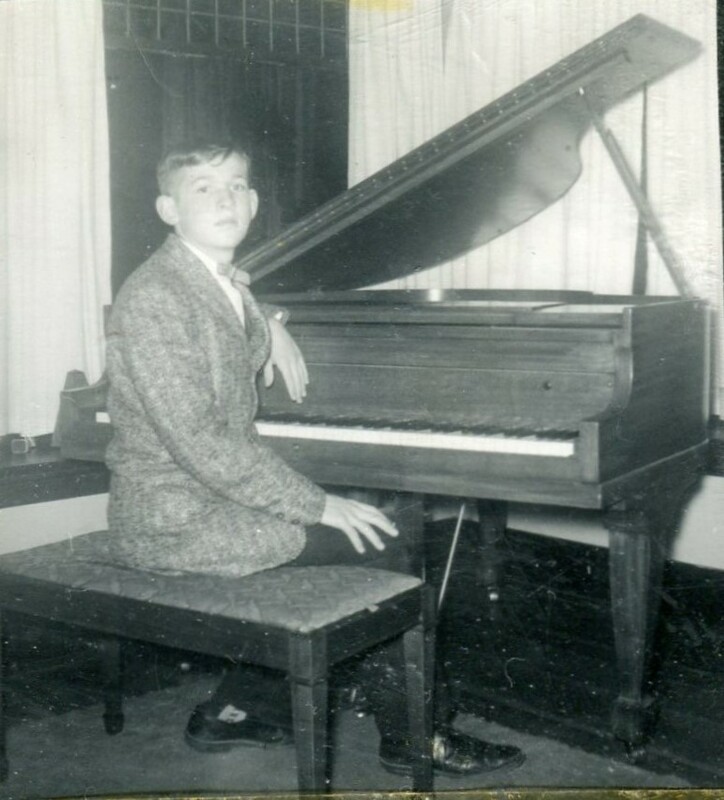 He showed an early predilection for music but did not start lessons until the age of nine when his family acquired an old upright piano from neighbors who were moving away and could not take it with them. He progressed rapidly and also started composing at this time. A relative, after hearing him play, was so impressed that he offered to buy a new piano for him. His early teachers were Sisters of the Holy Names, the last of whom was Joyce Ways. While studying with her, he won the Everett Music Teacher's Concerto Contest and played the Haydn Concerto in D with orchestra using his own cadenzas. 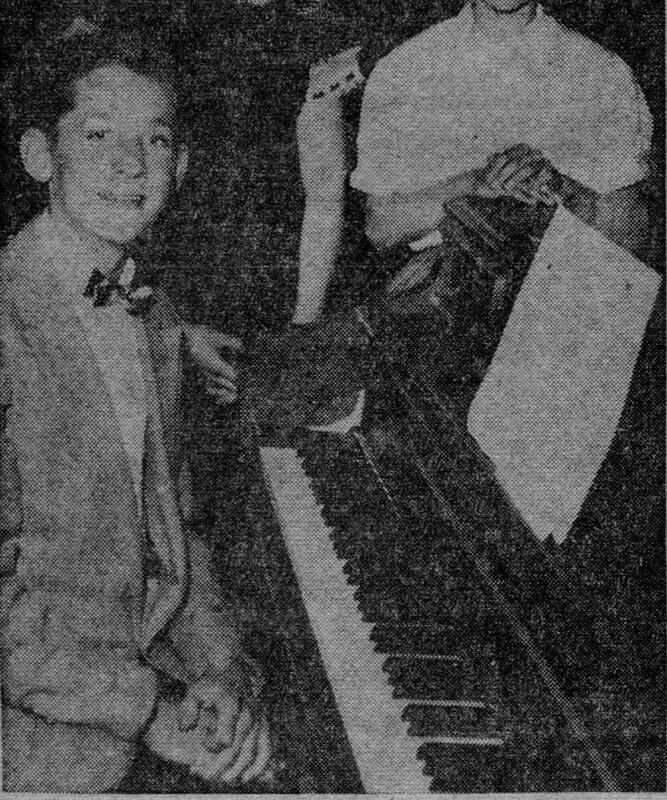 His teacher recommended that he study with Randolph Hokanson, professor of piano at the University of Washington. During his years at Everett High School, he took the bus every week from Everett to Seattle for piano lessons and then classes in Russian at the Orthodox Church. He was also studying French in high school and taught himself German. 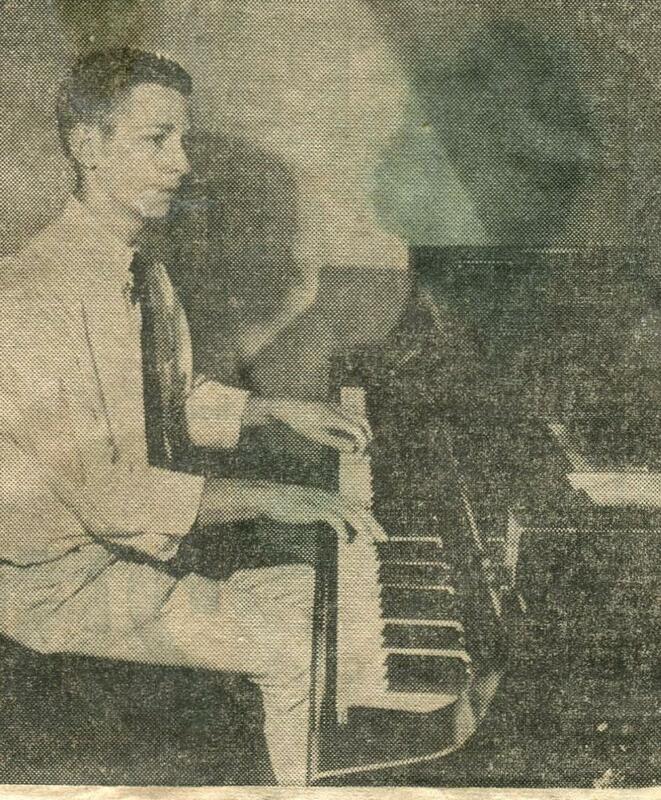 He continued studying with Mr. Hokanson at UW and finished his undergraduate work there in piano performance. In Seattle, he appeared as a prize winner in the New Dimensions in Music Series performing the Variations, Op. 27 by Anton Webern. Facing the draft in the late sixties, he joined the U.S. Army and was deployed as a Russian linguist in then West Germany. There he had the opportunity to practice on the Bechstein at the palace of the Graf von Bernsstorf and occasionally play for him and his guests. After being discharged from the army, he returned to the UW for graduate study with Neal O'Doan. At the end of his work on a Master of Music degree, he was chosen to perform a solo recital at the Battelle-Seattle Institute and invited to perform the Piano Concerto No. 3 by Béla Bartók with the Seattle Philharmonic Orchestra. His university years in Seattle exposed Christopher to a variety of musical experiences outside of solo piano work which had a decisive influence on his musical development: chamber music coaching with cellist Eva Heinitz, violinists Emmanuel Zetlin & Denes Zsigmondy and violist Donald McInnes and accompanying in the studio of soprano Mary Curtis-Verna. After Seattle, a short period of study with Bela Boszormenyi-Nagy in Boston was followed by a scholarship for the Doctor of Musical Arts program at the University of Oregon. There he studied piano with Marlene Thal and composition with Hal Owen. He was soloist with the university orchestra several times in Symphonic Variations by Franck, Rhapsody on a Theme of Paganini by Rachmaninoff and Carnival of the Animals by Saint-Saëns. His compositions from this time include 3 piano pieces inspired by his study of Ancient Greek, a Brass Quintet and a work for Soprano, Electronic Piano and Percussion entitled Setsugekka influenced by his study of Japanese. His dissertation was a study of the piano music of Carl Nielsen. In Eugene, he performed an all-Bach recital, which included the Goldberg Variations, as a benefit for the Oregon Bach Festival, he was pianist for the Eugene Ballet's Davidsbündlertänze by Schumann and he participated in the Hindemith Festival Concerts (1981 & 1982). Finishing his doctoral studies in the early 1980's he moved to Portland, Oregon. For his first recital in Portland he played the Liszt Sonata in B minor and the Goldberg Variations to an audience of 4 people. As he became better known in the Portland area, he performed to larger audiences at Marylhurst University and the downtown Old Church Society. His performance of Ives' Concord Sonata was broadcast by KBOO radio and he performed live on the Portland All Classical radio station. He played Gershwin's Rhapsody in Blue with the Marylhurst Symphony and other concerto appearances include again Rhapsody on a Theme of Paganini (Marylhurst Symphony, Columbia Symphony), the Piano Concerto No. 2 by Shostakovich (Newport, OR), the Piano Concerto No. 2 by Beethoven (Columbia Symphony), Piano Concerto No. 2 by Rachmaninoff (Vancouver Symphony, Everett Symphony and others), Concerto No. 23 by Mozart (Oregon City) and Piano Concerto No. 4 by Beethoven (Vancouver Symphony). For several years, Schindler collaborated with violinist Pierre d'Archambeau in concerts in the Portland area and Richland, Washington. He also worked with Ballet Oregon in Dennis Spaight's choreography of Rhapsody in Blue. More recently he collaborated with Jeff Lankov in a two-piano production of My Fair Lady for Portland Center Stage and the Dallas Theatre Center and was pianist for the Agniszka Laska Dancers' Chopin Project including an appearance at the Seattle Polish Festival. Schindler has participated in several international piano competitions in Italy, the United States and Brazil. He was gold medalist in the International Piano Recording Competition of Fort Worth and was a semifinalist in the Villa-Lobos Piano Competition in Rio de Janeiro. After several years of part-time college teaching jobs (Marylhurst University, Warner Pacific College, Linfield College) in the Portland area, church organist jobs and occasional private students, he decided to utilize his language skills to have more financial security. He started working as a freelance translator of French, German, Japanese, Portuguese, Russian and the Scandinavian languages. This has given him the freedom to continue working on his piano repertoire and allowed him time to present a number of concerts each year and produce CD's: Liszt Piano Works - Selections by Mendelssohn, Medtner and Rachmaninoff - Reflections & Dreams: Music of 19th and Early 20th Century Composers and a new CD of memorable live performances of Debussy, Prokofiev, Schubert and Schumann. Besides composers already mentioned, Christopher Schindler has performed music of Chopin, Smetana, Dvořák, Brahms, Fauré, Scriabin, Schoenberg, Granados, DeFalla, Busoni, Janáček and Messiaen. Schindler lives with his wife, Christine Zachary, a visual artist.